The International Society for Technology in Education (ISTE) event is going on right now, and that means that lots of education-focused Chromebook-related items are being released. 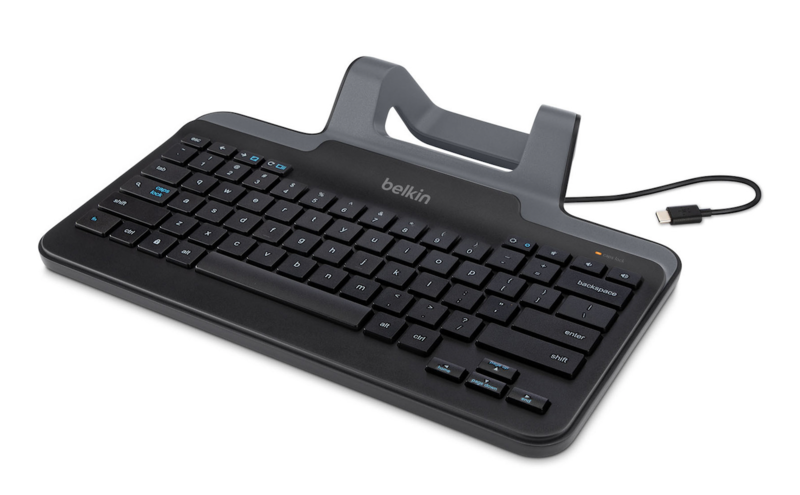 We just posted about STAEDTLER's new Noris stylus for Chromebooks yesterday, and today, Belkin has unveiled two USB-C keyboards intended for use with Chrome OS tablets. For years, Taiwan-based Foxconn has been best-known for manufacturing Apple products, but it also builds countless other consumer electronics. 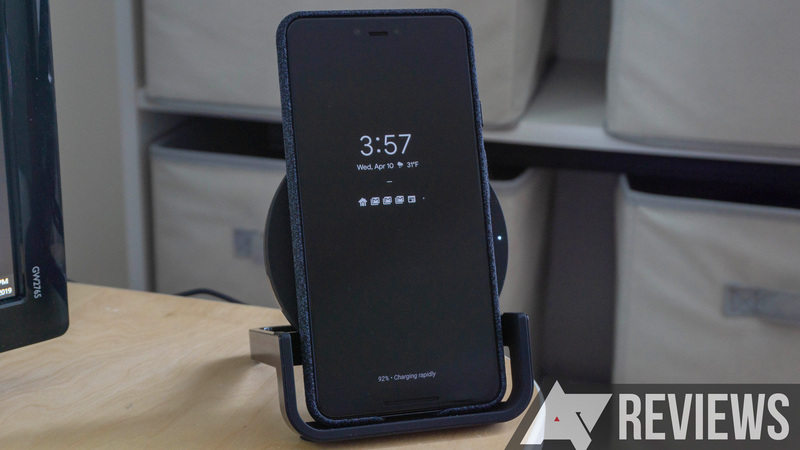 Today, one of the company's subsidiaries (Foxconn Interconnect Technology) announced it is purchasing US-based Belkin for $866 million in cash. Belkin owns a number of major brands, including Linksys and Wemo. 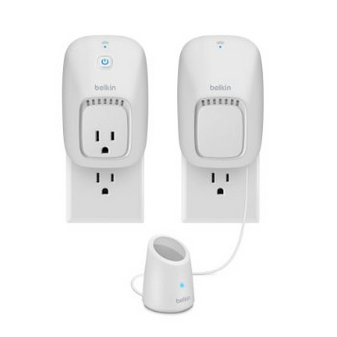 With a couple of months of use behind me, my feelings about the Belkin WeMo switches are just as conflicted now as they were when I unpacked these. On paper, the idea of a switch that you can plug anything in to make it smart is fantastic. 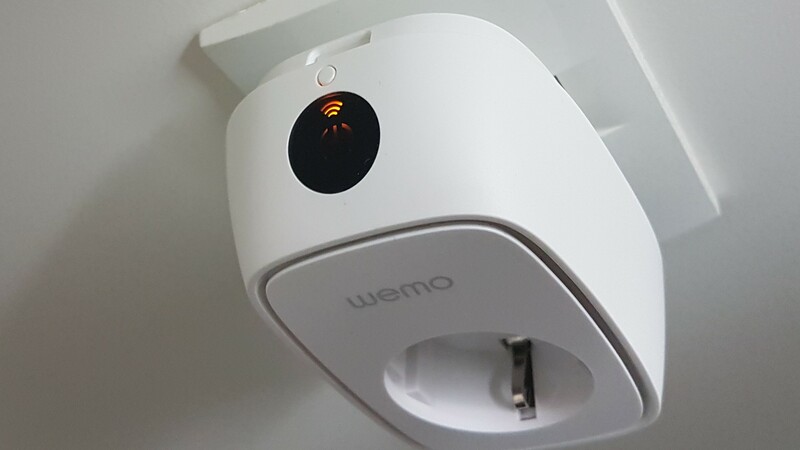 In reality, I struggled to find many, if any honestly, devices I wanted to use the WeMo with. But that's not even the meat of my issue with WeMo's switches. Their connectivity has been iffy at best, the app is laughably old, and integration with other smart home devices is hit and miss, mostly because of the aforementioned connectivity issues. Belkin makes a series of gadgets intended to make your home smarter. Think WiFi-connected light switches and outlets that let you toggle anything you plug in. Now these products work with Nest. 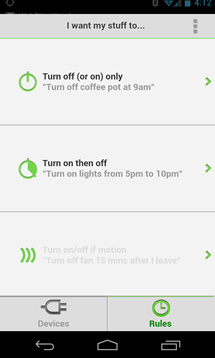 Belkin's WeMo switches take generic aspects of a home and make them smarter. If you're interested in giving parts of your house an IQ boost, several of the company's products are currently going for 20 to 25% off as part of Amazon's Gold Box Deal of the Day. The devices come in two primary form factors. There are switches intended for power outlets, and there's a wall-mounted option for controlling the lights. 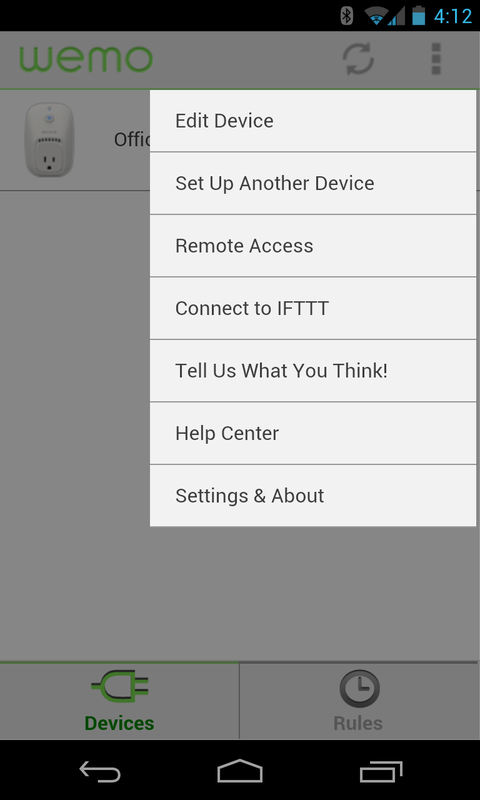 Either way, you're looking at tools that provide the ability to remotely control various parts of the home using an Android device. 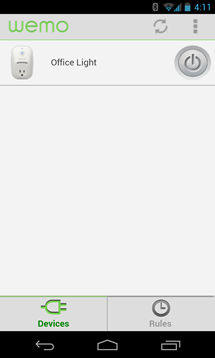 The Belkin WeMo light switch has been reduced from $49.99 to $39.99. 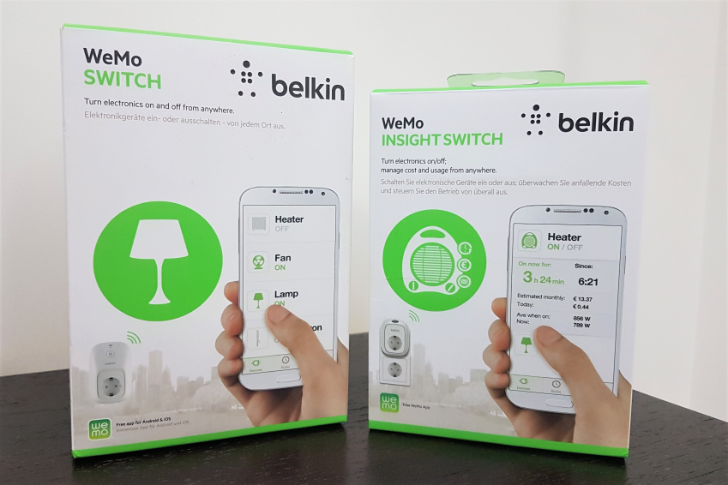 If you've been looking for an easy way to get into the home automation craze, Belkin has a series of plug-and-play accessories that will let you control lights and other electronics without any major home modifications. 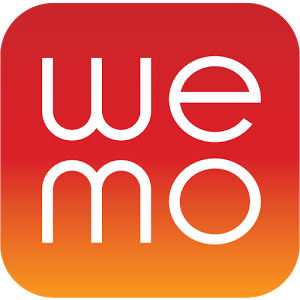 The WeMo series is relatively cheap and controllable with your phone or tablet via the Android app. Amazon's daily deal portal Gold Box has select WeMo accessories and switches on sale for today only. 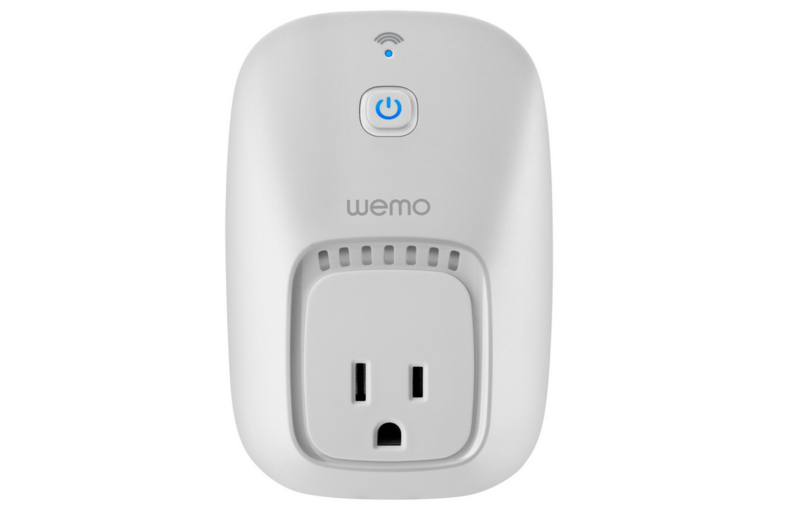 The most basic part of the WeMo line is the WeMo Switch, a simple on/off switch that hangs out on a standard wall outlet and connects to your home's WiFi network. 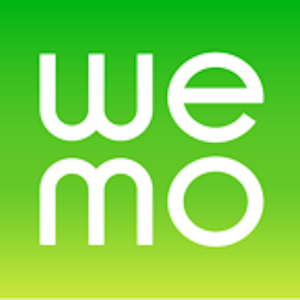 For those who may not be familiar with WeMo, here's the in-a-nutshell explanation: it's a family of devices – WeMo Switch, WeMo Light Switch, and WeMo Motion – that connect to your Wi-Fi network and allow to you control household electronics directly from your smartphone. 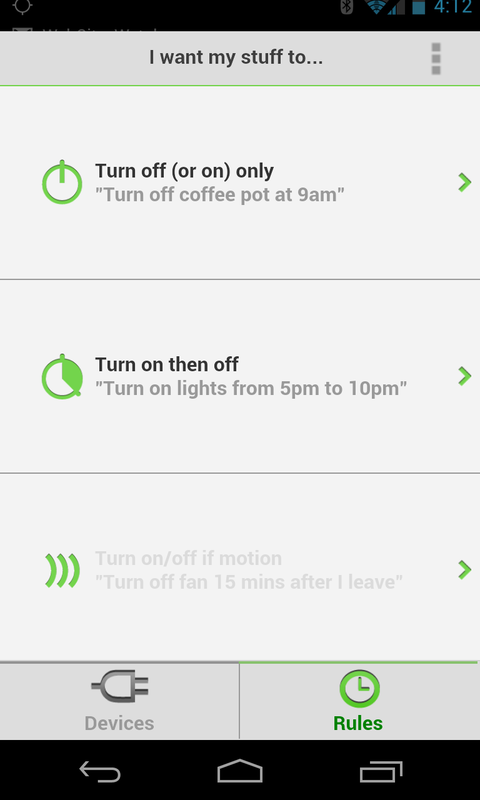 For example, you could have WeMo Switch plugged into the coffee pot and fire it up directly from bed when you wake up.